There are over 100 different types of nerve damage which can affect the human body. It is estimated that about 1 in every 50 Americans will suffer from peripheral nerve pain or damage during their lifetime. 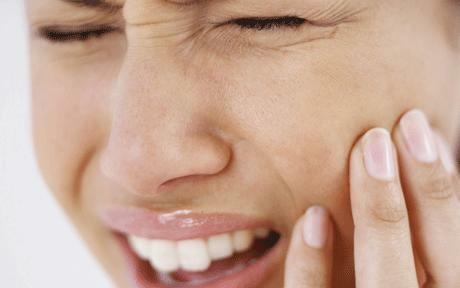 This debilitating condition can be extremely frustrating, painful and life-changing. A variety of chronic degenerative autoimmune conditions like multiple sclerosis, lupus, and inflammatory bowel disease may lead to nerve pain. One of the most common causes of pain in the nerves is usually referred to as diabetic neuropathy. Around 25% of people with diabetes suffer from nerve damage. Tumors grow, pressing on the surrounding nerves leading to nerve pain. One-third of people suffering with HIV experience nerve pain. Ironically, antiretroviral drugs can also lead to nerve pain. Effects nerves in the brain and spinal column. Causes very severe and sudden nerve pain. Could lead to nerve damage. Also remember that heart disease, stress and a vitamin deficiency may also be the cause of nerve pain. All are crucial in everyday life. The pain of course will depend on the type of nerves affected. In some cases a patient may suffer from all three types of nerve damage. While nerve pain cannot be cured, it can be treated. The condition is long-term. Learning how to treat it effectively is crucial to a future without chronic pain! Many people are searching for alternative methods of treatment because prescription drugs are so dangerous. For more information on side effects and other major complications associated with common prescription meds, please read Dangers Of Pharmaceuticals. If you want to manage pain effectively, this is a more natural way. If you have diabetes, make sure you keep your blood sugar under control. Normal blood sugar levels are the best possible treatment for diabetics suffering from nerve pain. Try a warm bath in the evenings. Having a good soak in warm water can help ease pain. Warm water increases blood flow, relaxes muscles and helps to ease stress. Daily activity cannot be stressed enough! Exercise increases blood flow, it releases endorphins, and a bonus is it helps you lose weight. Both great for nerve pain. They are natural anti-inflammatories and help you to feel your best. Water is the main ingredient in our bodies, very important when treating nerve pain. Stay hydrated to keep pain at bay. Cayenne pepper contains a substance called capsicum which has many different uses. When applied directly to the affected area it serves as a potent pain reliever. If you are interested in finding out more on treating this condition please read Custom Compounding For Chronic Nerve Pain.